Your auto glass repair or replacement may be covered by your insurance policy, possibly at a zero-dollar deductible. The first thing you should do if you sustain damage to your windshield is contact your auto insurance carrier. Filing a windshield repair claim will probably not raise your rates or deductible. In fact, most insurance companies don’t count auto glass claims as actual claims. If the crack in your windshield can be repaired, some insurance carriers will actually waive your deductible and pay for the repair. However, if you only have liability insurance, you will not be able to file an auto glass claim, and will be responsible for the total amount of the repair or replacement. If your insurance company won’t cover the auto glass repair or replacement, or the cost of the windshield repair or replacement is less than your deductible, you can simply pay for the work out of pocket. There are many benefits to windshield repair. It preserves the factory seal of the windshield. It keeps unrecyclable windshield glass out of the landfill. It restores the structural integrity of the windshield. It leaves a nearly invisible repair mark. Most repair companies can’t repair cracks longer than a dollar bill, but Crackmasters can repair cracks up to 18 inches in length. If your insurance company has a preferred network of glass repair companies and we’re not listed as provider, ask for an exception based on our ability to repair longer cracks than other windshield repair companies. If the damage to your windshield is such that it can’t be repaired, our team will source a quality original equipment replacement windshield and install it to the most stringent safety standards. We’ll remove the original windshield and perform a full cutout of the original adhesive. The full cutout method is the safest way to ensure the best possible seal on the new windshield, but many companies only perform a partials cutout of the original adhesive, which compromises the integrity of the new windshield. Please contact your insurance provider for details about windshield repair or replacement. 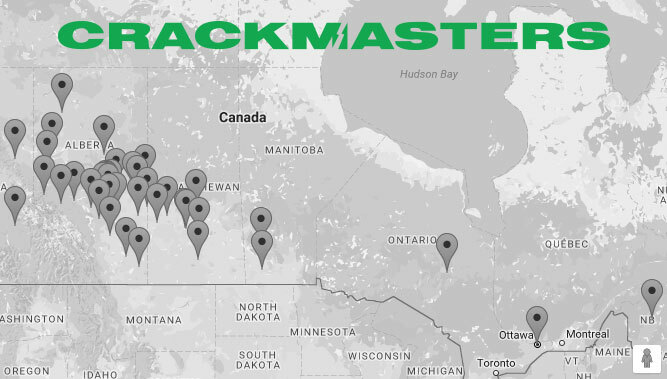 If your windshield repair or replacement will be covered in total or in part by your insurance company, please let us know when you call to make an appointment at your area Crackmasters location.